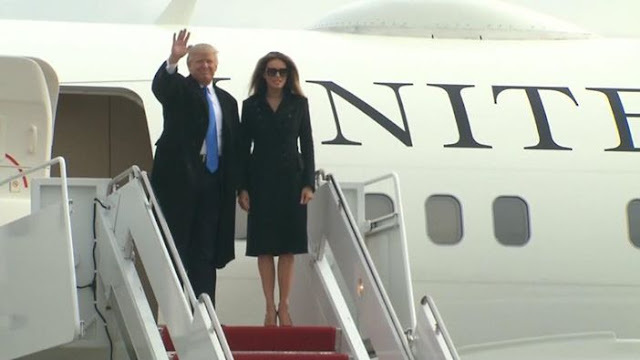 Ahead of the Inauguration of Donald Trump tomorrow as the 45th President of the United States, he makes a landing with his wife Melanie and family at the Joint Base Andrews as American Airmen receive them. "Just landed with Melania & my family. Thank you for all of your support. I love you - WE WILL MAKE AMERICA GREAT AGAIN!